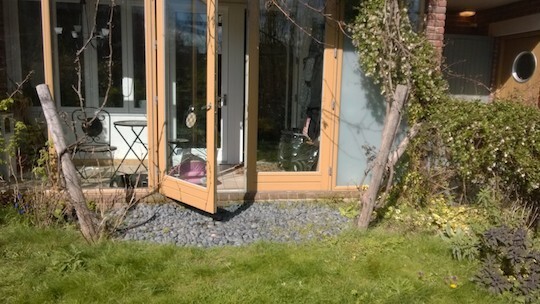 Before photo of the area outside the house.No seating area. 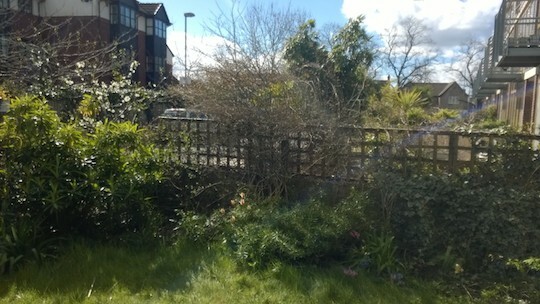 After photo of the area outside the house. Note the grapevine on the right has been retained. 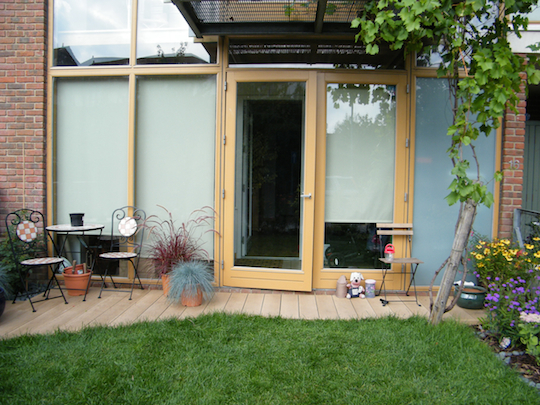 The deck was installed by Earthcare. 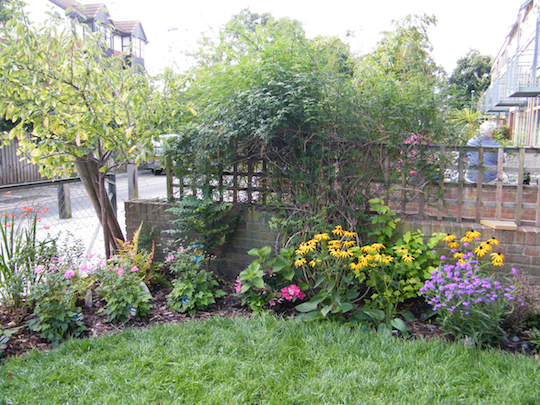 Before – the garden borders were overgrown with plants which provided little colour and interest. The cherry tree in the corner was retained and the garden was given an injection of colour. Rudbeckia ,Verbena bonariensis,Hydrangea macrophylla and Anemone x hybridus are some of the plants used to give summer colour.